In our exclusive interview with Jask Tao, from Lindsay J. Pryor's Blood Torn -- the third installment in the Blackthorn series -- we learn a secret about Jask that no one else knows! 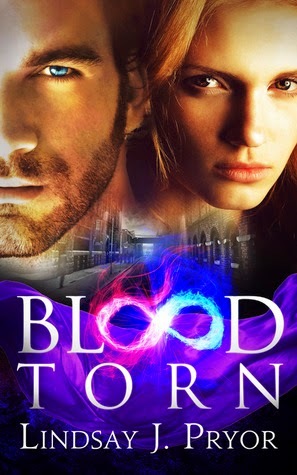 For the sake of spoilers, the interview was conducted prior to the events in Blood Torn. What is your most notable characteristic? Jask Tao: I’m one of the rare lycans on the cusp of controlling my allergy to the lunar cycle without needing our herbs to suppress it. My advancement in developing my skills was halted by the regulations coming into being and the new global order being put in place. Now that we’re under such close monitoring, I have no option but to use our traditional methods to control my allergy. If I change now and get seen doing so, my pack will suffer. What brings you the greatest happiness in life? Jask Tao: Watching my pack forget they’re confined in the compound in Blackthorn and instead feel like they’re free. It often happens when we’re playing our training sports in the grounds of the compound. For just that short time, they forget what’s going on beyond the walls and the threat looming over us every day. It’s why I encourage it so much – not just to perfect our skills in case an attack ever does happen, but to give them that sense of freedom so many of us remember before us third species were outed and the humans took over. Jask Tao: I fear that the authorities – whether the Third Species Control Division or the Global Council who run it – will finally go back on their word and descend into Blackthorn in an attempt to annihilate us. I fear what that will lead to because we will retaliate. So far, the authorities haven’t seen a fraction of what we are truly capable of. I will protect my pack whatever it takes. How would you define a perfect love? Jask Tao: I would define a perfect love as being each other’s strength as well as each other’s weakness – in all the right places. Tell us a secret about you that no one else knows. Jask Tao: I slept with Arana Malloy (Kane’s sister) during the time of my downward spiral. No one else in my pack knows – not even my beta, Corbin. Kane, her brother, certainly doesn’t know. When I told Caitlin that Arana despised lycans – that she would never go near them let alone arrange to meet them for some sexual experiment – it was true. I know it because she’d already been there and done that with me. Despite what the authorities accused her of, she had no intention of going near another lycan. Jask Tao, lycan leader, rules his pack with absolute dedication and demands the same loyalty in return. In the world of Blackthorn, where respect is a rare commodity, Jask has earned his – few dare to cross him, and fewer survive to tell the tale. When he captures Sophia, a rare serryn witch – whose blood is lethal to vampires – Jask knows just how valuable she can be. Despite her fiery nature, he also can’t shake the feelings that she rouses in him – feelings that he thought died along with Ellen, his mate. Sophia knows she has to escape from Jask’s lycan compound – and fast. Inheriting her sister’s serryn powers can only mean one thing – that her family is at risk. She’ll have to get past the dangerously attractive Jask first but, scarred by memories of her mother’s murder, Sophia won’t evergive up. In this thrillingly sensual novel, Lindsay J. Pryor returns to the shadowy dystopian world of Blackthorn, where tensions are rising, the risks are high, and the most powerful loves are formed in the face of great danger. 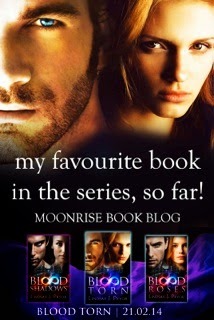 Read our reviews for books in the Blackthorn series! This is Jen - Cool giveaway and thank you! I would love #5. I'm a HUGE Lindsay Pryor fan!